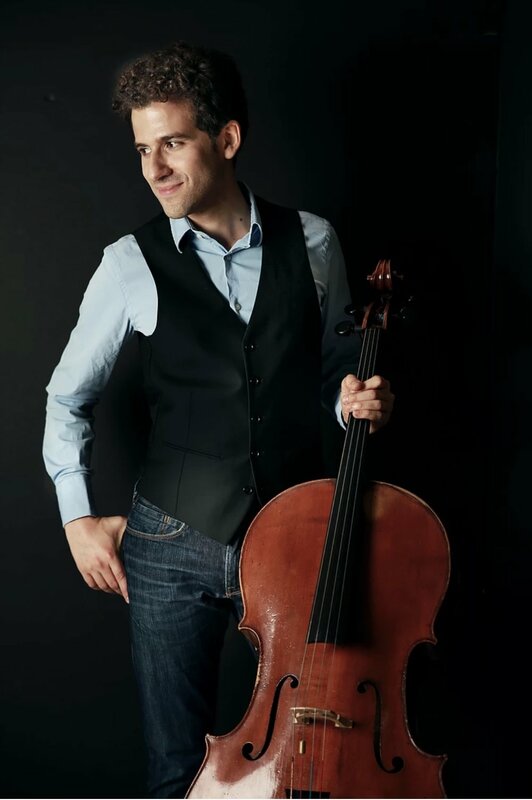 Hailed by the New Yorker as a “superb young soloist,” Nicholas Canellakis has become one of the most sought-after and innovative cellists of his generation. In the New York Times his playing was praised as “impassioned... the audience seduced by Mr. Canellakis's rich, alluring tone.” His recent highlights include his Carnegie Hall concerto debut with the American Symphony Orchestra; concerto appearances with the Albany and New Haven symphonies, Erie Philharmonic, and Pan-European Philharmonia in Greece; and a recital of American cello-piano works presented by the Chamber Music Society of Lincoln Center, with which he performs regularly in Alice Tully Hall and on tour. His 2018-19 season includes solo debuts with the Lansing, Bangor, and Delaware symphony orchestras; Europe and Asia tours with the Chamber Music Society of Lincoln Center, and recitals throughout the United States with his long-time duo collaborator, pianist-composer Michael Brown. He is a regular guest artist at many of the world's leading music festivals, including Santa Fe, Ravinia, Music@Menlo, Bard, La Jolla, Bridgehampton, Hong Kong, Moab, Music in the Vineyards, and Saratoga Springs. He was recently named artistic director of Chamber Music Sedona. A former member of CMS Two, Mr. Canellakis is a graduate of the Curtis Institute of Music and New England Conservatory. Filmmaking and acting are special interests of his. He has produced, directed, and starred in several short films and music videos.